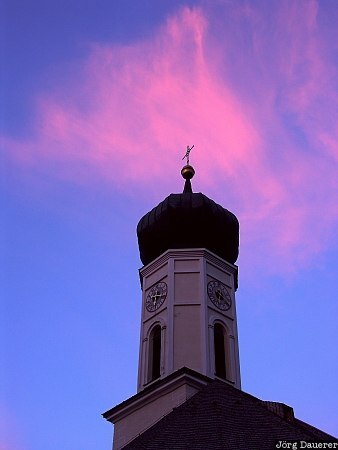 Red evening clouds over the church-tower of Jachenau. Jachenau is in southern Bavaria (Regierungsbezirk Oberbayern), Germany. This photo was taken in the evening of a sunny day in October of 2004. This photo was taken with a digital camera.